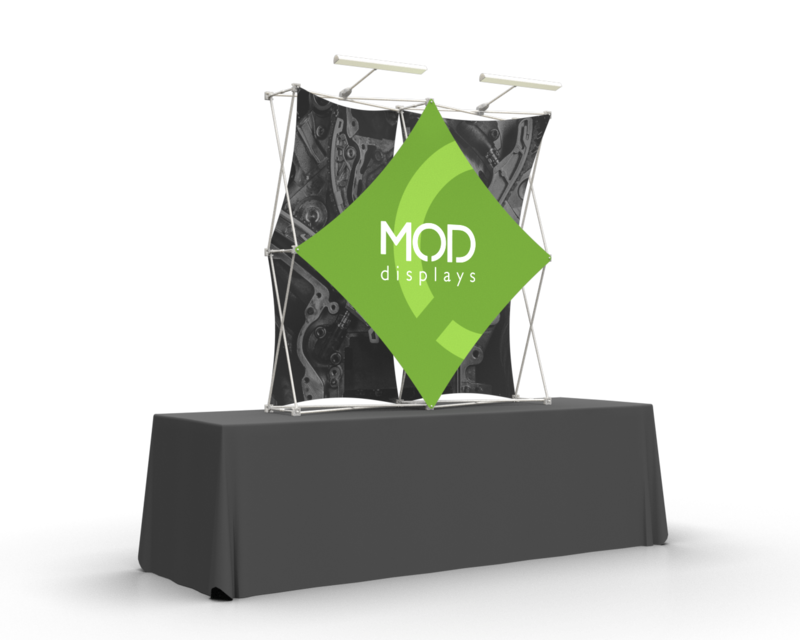 By combining more than 20 different shapes and styles of fabric panels, our 3D display series is designed to give you infinite ways to personalize your message and brand. 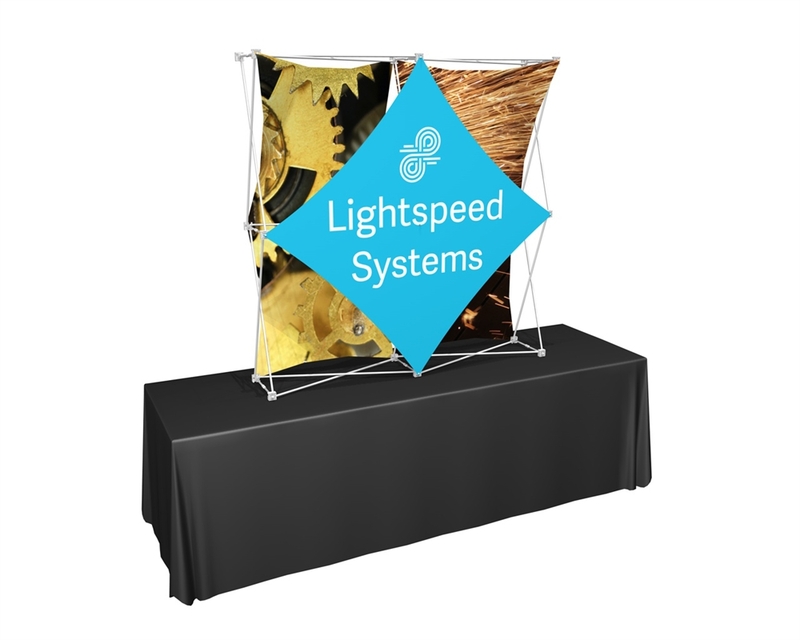 An accordion-style pop-up display that sets up in minutes, and packs down into a shipping case that converts to a custom-printed podium. 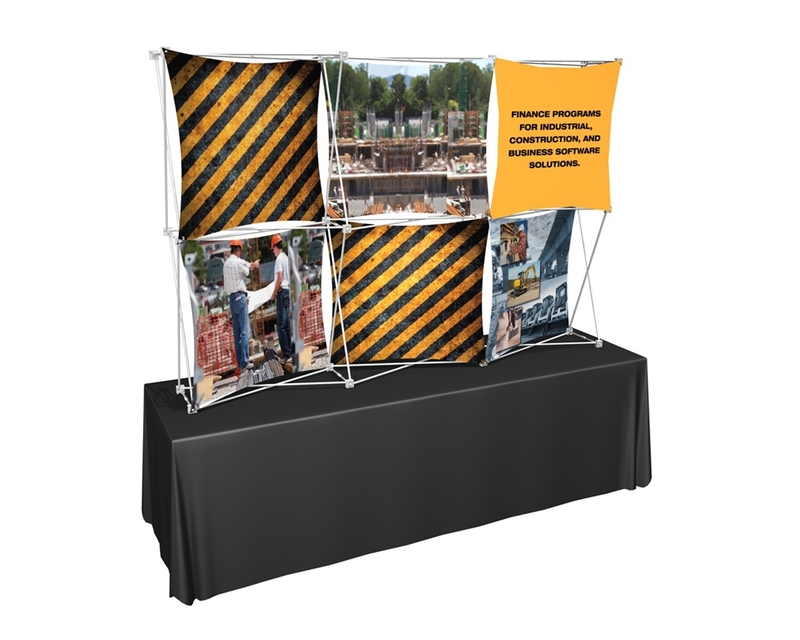 Perfect for presentations, job fairs, business expos, conference and convention tables, and longer term uses. Individually printed graphics allow for depth and variety of tone throughout the design of the backdrop. 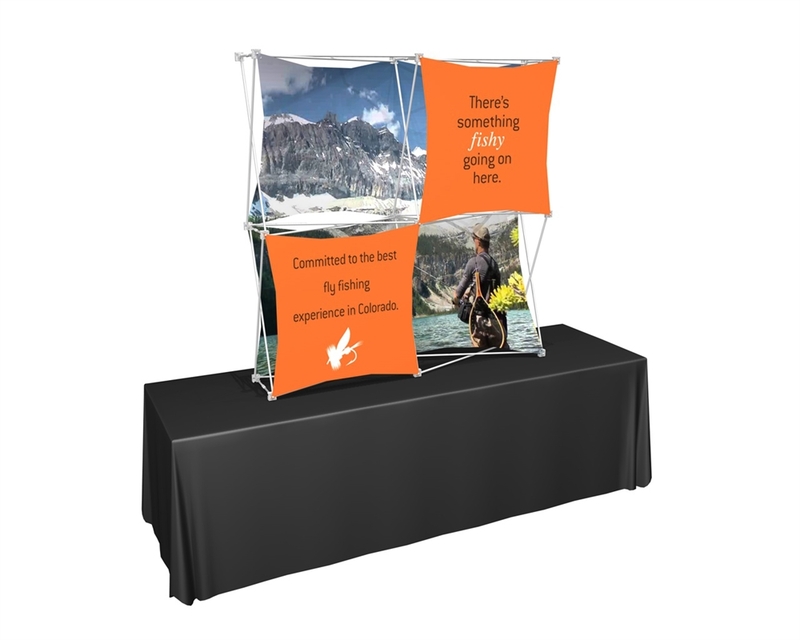 the graphic panels hook onto the frame, which provides an ingeniously simple way to trade out a variety of graphics.